Mario is a Senior Front End Developer with over 10 years of Drupal experience. He is a regular speaker and trainer at tech conferences including Drupal Camps in Los Angeles, San Diego, San Francisco, DC and others. Mario is a co-host of the Mediacurrent podcast where guest speakers discuss the latest in the web industry. Mario is an active participant in the core Drupal project; and other open source projects. 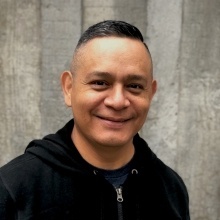 Prior to Mediacurrent, Mario worked as the lead front-end developer for the U.S. District Court in Los Angeles, the largest federal court in the country. His work there was awarded with the Administration of Justice Award from the Federal Government. As an active member of the Drupal and development communities, Mario conducts private and community-driven workshops and webinars to share his knowledge about Drupal and front-end development in general.